interviewed on Manifest by Perry Stone jr.
Bishop Earthquake Kelley, professional boxer and Hollywood pastor author of Heaven's Golden Vessel, released by Word Harvest Books, a publisher dedicated to inspirational print. In this new book release, Bishop Earthquake shares his amazing story of seeing Heaven after a Brain Aneurysm. "This is an exhilarating story about Heaven. As I read Bishop Earthquake's account, I was transported to Heaven with him. I walked with him as he saw Heaven for the first time, I stood with him by the crystal river as he talked to his murdered son, and I listened with him as the Lord spoke and gave him a word for this generation. I cried, laughed and repented by the end of the book. I look forward to seeing my loved ones again with greater anticipation after reading this book. Bishop Earthquake, on behalf of this generation, thank you for bringing this word from Heaven," said Dr. Jessica Davis, publisher of Word Harvest Books. Bishop Earthquake Kelley is one of eleven children born in Stamford, Connecticut to Robert and Erma Jean Kelley. Earthquake's Haitian father was a practitioner of voodoo, obeya, and hoodoo. Earthquake learned over one thousand witchcraft concepts. Bishop had a praying mother who would pray for Earthquake in the middle of the night. His father beat his mother many times for defending Earthquake with prayer from witchcraft. Earthquake thanks God for a praying mother. Earthquake started using drugs at the age of four. He started smoking marijuana at the age of six. Two of his brothers were dealers, and they introduced him to cocaine at the age of ten. These early experiences led to a life of dealing and using drugs. After overdosing on drugs, Earthquake gave his life to the Lord at a revival meeting in Milwaukee, Wisconsin on December 15, 1971. At the age of fourteen, Bishop Earthquake walked into a gym in downtown Stamford. A great boxer approached him, and said, "I know who you are (probably because of Earthquake's reputation around the neighborhood as a bad kid)." He tells Earthquake, "If you get serious with fighting, you'll become a great boxer and go far with it." From 1986 to 2001, Bishop Earthquake had approximately twenty professional fights. During these years of boxing, Bishop Earthquake founded a substance abuse ministry called the B.R.I.D.G.E. in Carson, California. The B.R.I.D.G.E. moved to the West Adams Foursquare Church under the pastoral leadership of the Late H. Marvin and Juanita Smith. In 1991, Bishop Earthquake founded The Bridge of Hope Church. In 2005, the ministry became known as Bridge of Deliverance. Father attempted to abort him and abortion failed. Was raised up by his father to be a Voo-Doo Priest, mother intervened with prayer. Ex-Dope Dealer, used drugs at age 4. Street fighter (New York) turned Pro Boxer. Saved in 1971 after a trip to hell. Raised from the dead. Fought in the 1984 Olympics. Ministers world-wide - China, London, Pakistan, Haiti and has pioneered 5 Churches in other countries. Married to Selena for 23 years, has 7 children, one son, Scott, was killed in 1998 in Watts, California, due to a car jacking. Died a second time from the experience described in video/audio and went to heaven. Earthquake is now Pastoring in Hollywood, California. Have you or someone you know lost a child, maybe a baby or a child that was 8, 9, 10 years old or a teenager that has gone on to be with the Lord. Where are they at right now? What are they doing? What is taking place? 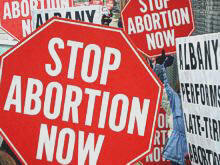 What about babies that have been aborted? The soul and spirit of a little baby, does it exist? Or as some people teach, it is just a blob of tissue, until it becomes a child. Today, I have a very special guest on Manifest. We are doing a series on life after death, a series that involves people that have personally have had experiences with life after death, and have seen paradise. They have stepped out of their physical body to act seen paradise. I have with me today Bishop Earthquake Curtis Kelley. He was called Earthquake because he was boxer. If you look at this man you can tell he can box. I’m glad he’s on my side. Bishop, you have been involved for many years in feeding poor people, inner city people, people who are drug dealers, drug addicts, prostitutes, and you’ve ministered to the poor of the poor, the needy of the Needy. You had a son who was 24 years of age, and you were feeding people in the Watts district, which is known around for the world as one of the toughest areas of the U.S. for gangs. And your son’s car was carjacked and he was shot twice in the Chest and was killed instantly on December 7th, 1998. However with the grief that you were experiencing, you yourself experienced a brain aneurysm, in which they didn’t think you were going to live. This was the year 2004 in December. You were taken to the hospital. You’ve described to me about the pain and the agony. Tell us about the experience you had. People have got to hear this. When I got to the Hospital, they put me right inside the examination room. I didn’t know I had a brain aneurysm. I though it was just a headache. They gave me some medication but it didn’t work, and something went wrong. It forced the air out of my body. I felt like my chest was being crushed, like a heart attack. So I could not breathe and I was fighting just to breathe. I noticed that the Dr. and my wife were trying to help me, but I went into convulsions. Then I started coming back up, and He put me back in my body. I could hear my doctors working on me, trying to get me to breathe. I could hear everything that the doctors and nurses were saying. I kept saying, “I’m here, I’m here, I’m alive, I’m here!” They worked and worked on my, but after a while they just stopped. I could hear them say, “there’s nothing else we could do.” My spirit was saying, “I’m alive,” but I couldn’t open my eyes or even lift a finger. I was trying to lift one finger, but nothing. I was saying, “I’m alive” but I could hear them starting to shut down the equipment, because they gave up. But I hear God’s voice say “Open your eyes.” When I opened my eyes, there was one female doctor that said “Welcome back, we though we had lost you.” From there they rushed me to another room and put on all these tubes and everything on me, in intensive care. Tell us what happened a couple days later in your room. I was in my room, praising God, but I was in a lot of pain. They had to pack my head with 2 big blocks of ice. My blood pressure was way too high. They had to check me ever 15 minutes to see if I had died. So they checked me around the clock. A nurse came in, and I said “can you turn on a nice Christian channel, I don’t want to see a Cops show with everyone shooting.” So she tried to find a channel but she couldn’t find one. So I said, “just shut the door and turn off the light”. When she left the room and shut the door, I saw this big golden beautiful thing come into the room. I was looking right at it. It settled at the foot of the bed. They had me strapped down, so I couldn’t really move. I sat up and said, “This thing was so beautiful. What is that?” Then like a snap of the finger, it lifted me out of the bed. Do you think your soul came of your body, like Paul talks about in 2nd Corinthians. Yes, I left my shell. I was looking down on my body, but I didn’t recognize, so I said, “man, that guy is in bad shape, he’s not going to make it.” I was actually looking at myself. Then a second later, I was taken with this big golden thing into this beautiful garden. I saw trees that were so big that it would take 10 men, hand to hand, to wrap around them. I saw blades of grass where each blade had a diamond, a jewel and an emerald inside of the blade. It was so manicured, better than any golf course. Did you walk on it? I’m about 6 foot 5 inches and the angel was 7 feet tall, and the angel said “Go, walk.” I thought that the grass with the emeralds would go through my foot, and cut it. But the angel said, “no, walk.” As I walked, it felt as soft as cotton. Amazing! You said that you also saw the river of life. Yes, as I kept walking, I saw a river. The river was looked like it was dancing to music. Yes, I could hear music. So the water was flowing with the music. What did it look like? It looked like liquid diamonds, like melted diamonds, like different rainbow colors. I could see the river was coming from this real big beautiful building. I could also hear angels singing. Then I looked at the other side of this river and I saw my son. The one that had been killed. Did he look the same? So you just wanted to get across the river where he was? Yea, I just wanted to hug him. It was 1998 since I’ve last seen him, it’s been 6 years, and I really wanted to Hug him. So 6 years have past had past. So he looked the same, but you said he looked great. And He knew you by name, he knew you were dad. Did he tell you anything? Did you think that if you crossed that river you don’t go back? Was that your perception? That’s what I thought, that’s why I was trying my best to get over there. Now you did see some children, tell us about the children. This really touched me. As I was being pulled back toward that beautiful golden thing that took me out of intensive care, I looked on the other side and there were children running. They were playing and having a good time. I wanted to go join them and play with them, they were having such a good time. As I was standing there and that’s when I heard God’s voice say, “You’re one of those children.” I was thinking, “yes.” There were 3 different groups of children playing, like children down here. And God told me that one group was children that died from wars, accidents, cancer. All different colors (nations) you can imagine. There was another group running and playing, and He said, “That group over there, were children that were aborted, and they were sent back to me.” And I could hear Him starting to cry, my God, I could hear His voice start to change like He was in so much pain. He sent those children to people, and they sent them back to Him. But there was another group playing. He said that this is a group of children that He sent to so called ‘church people’ who listen to the ways of the world, and they secretly went and had an abortion, and they sent them back. Oh, my. So He had grouped the children depending on what the situations was. You shared with me that God spoke to you to send to the church 2 warnings. I want to everybody to pay very careful attention because this man has been into the presence of the Lord literally. Not just his anointing, but His presence. Tell us the two warning that God gave you. In one warning, He said, tell my people to repent! He said they are NOT taking Me seriously. And another warning He said that there are so many people who are holding things against Me, as if I have sinned. He said there are people in the churches who have not forgiven Me, because I have not given them the things they wanted in the time they wanted it. Or because I have not blessed their ministry to go as fast as another particular ministry. Or because somebody they prayed for died. They are holding grudges in their hearts against Me. Until they forgive me, I can not bless them to go forward. And the second warning is very stirring, it’s about the ministry. This warning was given in paradise, not in prayer. He went out of his body from the hospital after having a brain aneurysm; went out literally. Soul and Spirit went out to Heaven, he was gone. He thought he had died, he saw his son that has been killed by gangs; He is in paradise hearing God saying this. Go ahead tell us. He said that there ministers who are living anyway they want, who He has sent warning after warning after warning to repent their sins. He said that they have a wife and many lovers. He said that He had sent them many warnings to repent. They are chasing after money and things, instead of seeking my face. I sent warning after warning after warning. They refused to repent. Since they refused to repent after warning after warning, many of them will die in their pulpit, the very places that they are expressing themselves from, but not of Me. Now since the time you have came back, have you seen anything happened that fits that description? Yes, I’ve seen a couple of people that I know of in particular who fit that description. They weren’t living right, very hypocritical lives, very bad life style, but yet proclaiming to be the ministers of gospel, they died in their pulpit. Two of them were thirty nine years old. Really! Well, this doesn’t mean that every person who passes away in the pulpit or after preaching was killed by God. But God gave warning after warning to repent. Another thing that you’ve shared with me was that God had spoken to you about warning America of a major terrorist attack, if they did not repent. In fact, what you don’t know Bishop is that I’ve gotten a phone call, there is an Australian man, considered to be a real prophetic man. Jesus appeared to him and said that if ROE vs. WADE is not overturned in America, if they don’t overturn and start protecting the ones I am sending them, the little babies, severe severe judgment is going to strike the whole United States, to the point that people won’t even be able to recognize it in the future. Tell me more about what you saw. He said the destruction was coming on this country (USA). He showed me a big wave that was going to hit. This was December 2004, before Katrina. God showed him before all these had happened. He showed me terrorists that are already here in this country. You said that you saw, though you couldn’t see their faces, but there was one woman and four men that were working as a sleeper cell. It is a major attack. We are talking about something so major that people couldn’t even comprehend it. Super major attack. Last week on the show, brother Carter and Brother Tommy Bates were talking about experiences of brother Cater’s wife being dead for 21 minutes going and seeing her son 40 years prior, who have been killed in an accident, he been run over by a truck. Bishop Kelley who had a brain aneurysm in a hospital, sees a vessel coming and pick him up and instantly take him into the presence of God. Now you listeners might be asking, “What is all this about?” In 2nd Corinthians Chapter 12 it says that Paul was caught up in the third heaven, he was caught up into paradise; he saw things that were not lawful for man to utter. Paul said he saw so much that if he came back to tell us, we wouldn’t believe it. People would not believe. But God has revealed this by His Spirit, by the word of God which is our foundation, and by these insights of the people who have these experiences. You know there is a Doctor in Chattanooga, Tennessee called Dr. Maurice S. Rawlings, he has written several books about Life after Death. He revived people who had gone to Hell, He revived people who have gone out of their body and gone to Heaven. When this started happening to him, he wasn’t a believer. There are doctors that don’t talk about it that often. They have talked to people who have come out of their body in surgery; they come out of their body after an accident. The bible says that you are body, soul and spirit. I know that some people believe in what is called soul sleep. They believe that the soul and spirit stay in the body. I know other people who believe that there is a place of purgatory, where a person goes through certain fire and then they are purged and then they come out. Lord had me do a series about all these questions people have about paradise. But bishop, having seen and been there, did it change your outlook on life or on the future at all? Oh, Yes! God said to tell my people to take this serious. They are not taking this serious enough, being lackadaisical. And I will do inventory on myself everyday, to make sure that I stay within the parameter. Don’t go too far to the left but to stay with God. Get out on my hands and knees, cry out to God. Go before God and say “God I want You to use me, because I know what’s there.” And I have to warn the souls before it’s everlasting too late. And that is what I do. 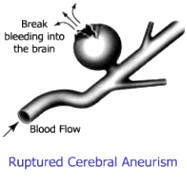 It is a miracle for you to sit here because I’ve heard the whole story of aneurysm. The Doctors had even told you that if you frowned you will die. My wife put her hand on my head and said “Don’t frown, if you frown you will die.” They thought I would die right there. You are doing good for a dead man. I have a friend who told me, “you’ve got to talk to this man.” When I met you in California, I bore witness with your testimony immediately. I know there are people that don’t believe this, they believe these experiences can’t be real. No folk listen, you know when you had a real experience with God. You know it. Bishop it has been a great honor to have you with me.